In the past, the primary way of encountering Legendary Pokemon in Pokemon GO has been through Raid Battles. Yet with the new daily quests added to the game, there’s an entirely new way. Pokemon GO rewards players with items each day they complete research challenges. After seven days, the reward will be even bigger. Professor Willow will appear with a box of goods such as Stardust and Poke Balls. Then after unwrapping the box, you’ll notice that a battle starts. 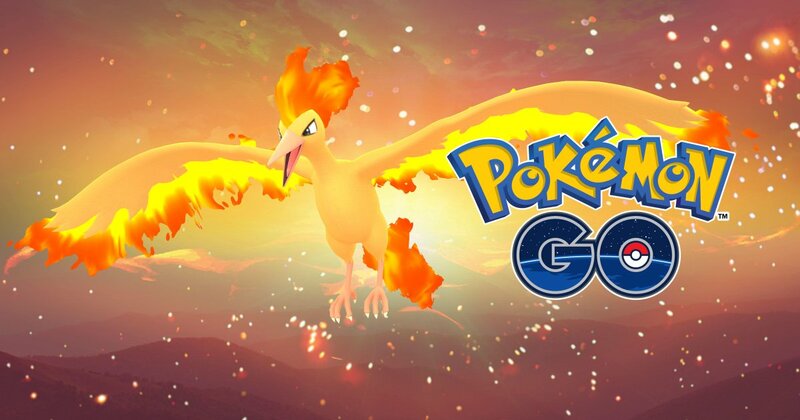 Players are indicating that Moltres shows up to battle. The Pokemon can flee or you may not capture it, but we’re also hearing that there are repeated chances to fight the creature. Other Legendary Pokemon should follow the same route in the future. Looking to make a difference this Earth Day, April 22? Like to play Pokémon GO? In collaboration with Mission Blue, we’re hosting local cleanup events around the world for Pokémon GO players, and you’re invited! Earth Day is a time to appreciate the places in which we live, and to find ways to help care for the planet. To help do our part, we will be hosting cleanup events around the globe! Visit our Earth Day website to find a cleanup event near you! We believe in taking care of the planet, and we invite everyone to help us make the world a cleaner place. Join us to help make a positive impact around the world!